Solar helps you save on your electric bill and will continue to do so for 25+ years. 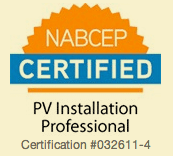 Free Solar Panel Installation Quote Energy independence is more affordable than ever. At All Energy Solar, we love making the transition to solar energy easy for property owners of all kinds — residential, commercial, agricultural, and government. Today is a good time to make the switch. Technology has become increasingly affordable and efficient, and current incentives like federal tax credits are scheduled to decline in the years ahead. Also, a variety of payment options are now available, including the opportunity to pay for solar on a monthly basis instead of all at once. Find out whether you could benefit from installing solar by filling out our free quote request form below. We look forward to seeing if we can make the sun work for you! The price of solar has dropped more than 50 percent since 2011.